The Council of Acre met at Palmarea, near Acre, a major city of the crusader Kingdom of Jerusalem, on 24 June 1148. The Haute Cour of Jerusalem met with recently-arrived crusaders from Europe, to decide on the best target for the crusade. The Second Crusade had been called after the fall of Edessa to Zengi in 1144. In 1147, armies led by Conrad III of Germany and Louis VII of France began their separate journeys to the east. Conrad arrived at Acre in April 1148, and Louis marched south from Antioch. The nobility of Jerusalem welcomed the arrival of troops from Europe, and it was announced that a council should meet. After much discussion, it was determined that the crusaders would march against Damascus. Whatever the reasons for the Siege of Damascus were, the results were disastrous for the crusaders. As a result, Antioch, which lay in closer proximity than Damascus to Jerusalem, was to become vulnerable. 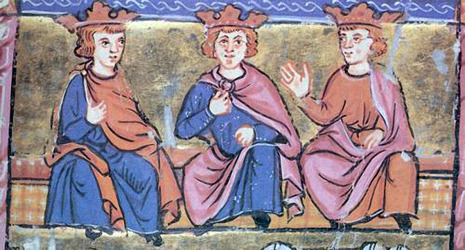 William of Tyre recorded numerous participants at the Council. The nobility of Jerusalem welcomed the arrival of troops from Europe, and it was announced that a council should meet to decide on the best target for the crusaders. This took place on 24 June 1148, when the Haute Cour of Jerusalem met with the recently-arrived crusaders from Europe at Palmarea, near Acre, a major city of the crusader Kingdom of Jerusalem. This was the most spectacular meeting of the Cour in its existence. In the end, the decicion was made to attack the city of Damascus, an former ally of the Kingdom of Jerusalem that had shifted its allegiance to that of the Zengids and attacked the Kingdom's allied city of Bosra in 1147. In July their armies assembled at Tiberias and marched to Damascus, around the Sea of Galilee by way of Banyas. There were perhaps 50,000 troops in total.